Ford Performance will work with DJR Team Penske and Tickford Racing in the development of the Mustang ahead of its 2019 introduction to the Virgin Australia Supercars Championship. 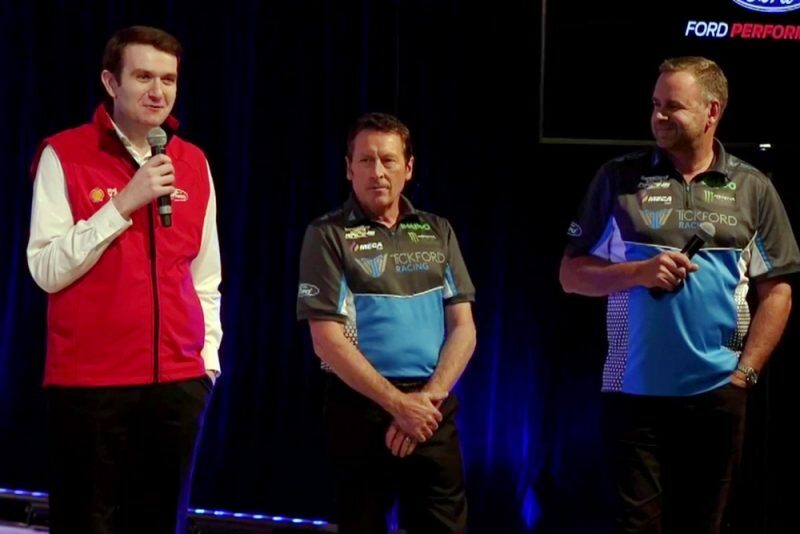 Announced in Melbourne, Ford Australia confirmed it would again become involved in motorsport in Australia through its Ford Performance brand. It also confirmed that it will work with the marque’s two leading teams as it develops its new car for next season. “Ford Australia and Ford Performance will partner with DJR Team Penske and Tickford Racing in the homologation of the Ford Mustang into the 2019 Supercars series,” confirmed Graeme Whickman, President and CEO of Ford Australia. “We’ve been working with the teams to ensure they have the best technical support they need to make Mustang a winner. However, Whickman distanced the company from the suggestion that the two teams would effectively become factory efforts. “I think that we sometimes get caught up in the verbiage or the vernacular,” he said. “At the end of the day we’re a partnership with the teams. That’s been Ford Australia, Ford Performance, DJR, and Tickford. “Quietly, we’ve been looking at what the options were. “Back in early ’17 as a company in Ford Australia we knew that we had an opportunity in front of us, from a strategy point of view. That partnership will see Nathaniel Osborne from Tickford Racing and Ludo Lacroix from DJR Team Penske leading the engineering direction of the project. “The two principal engineers are Nathaniel Osborne and Ludo from DJR Team Penske and they’re really setting the direction,” explained Tickford Racing boss Tim Edwards. “The grunt work, I suppose is the best way to describe it, will be Ford Performance. “They’ve got the resources to do the design and CFD (computational fluid dynamics) work et cetera, but sort of the direction they’ll take will come from our respective chief engineers. 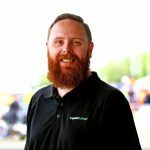 “The primary focus at the moment is actually doing the design work, which is a huge project, and then the CFD work that follows on from that and then obviously we work in conjunction with Supercars form that point to go through the homologation process. “There’s obviously been a lot of speculation about whether the two-door car will fit on the Car of the Future platform, and obviously that was part of the study that we had to do to get to this point in time,” Edwards added. “It’s fairly early days in terms of the design and development process,” agreed DJR Team Penske’s Ryan Story. “It’s something the teams are actually doing in conjunction and jointly. “We have a very good understanding of fundamentally how the car will fit over the Supercars control chassis and that’s about as far as we’ve gone so far.